When I was little, my mother always made lemonade in the summer. She'd stir up a pitcher of Country Time lemonade mix & us kids would drink it down every night for dinner (and whenever we could sneak a glass). Even though it was in powder form, that is still my favorite lemonade. Now that I am older, I still love lemonade (& sweet tea!) 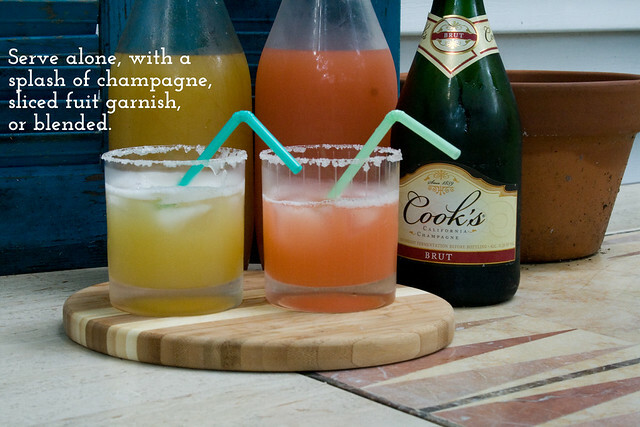 during the summer but wanted to come up with more of a sophisticated drink that was simple & easy. 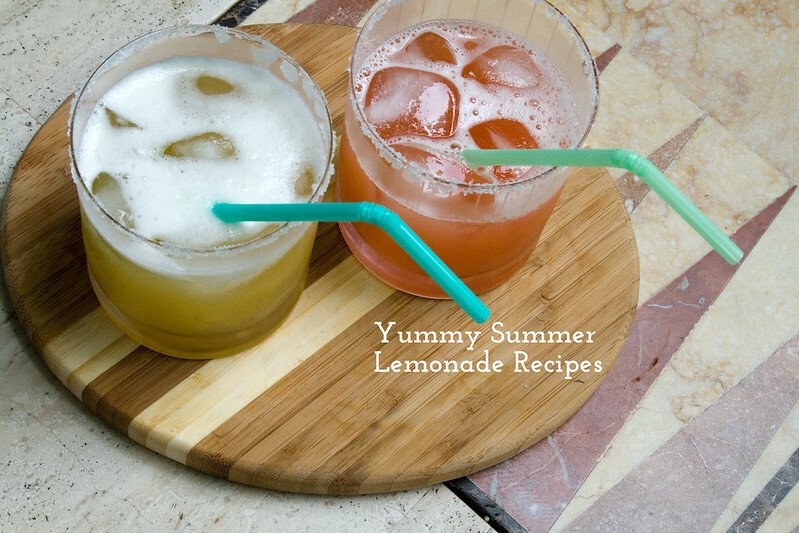 Cue the two part Summer Lemonade Recipe that dawned on my while looking around pinterest the other day (at work!) & is inspired by this recipe. 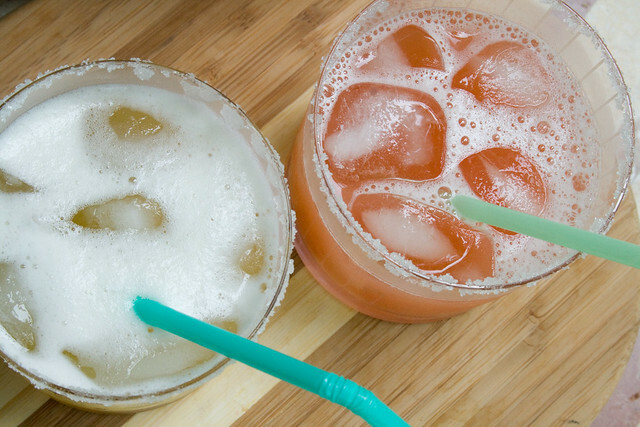 These delicious lemonades are perfect alone or as a cocktail. I honestly can't wait to have a party to mix more of these up! 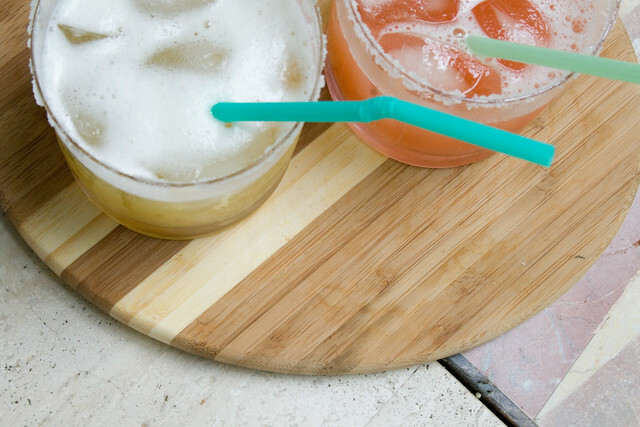 Plus, it's an excuse to use super cute decanters! You definitely need some awesome party ware for this recipe - like this set! 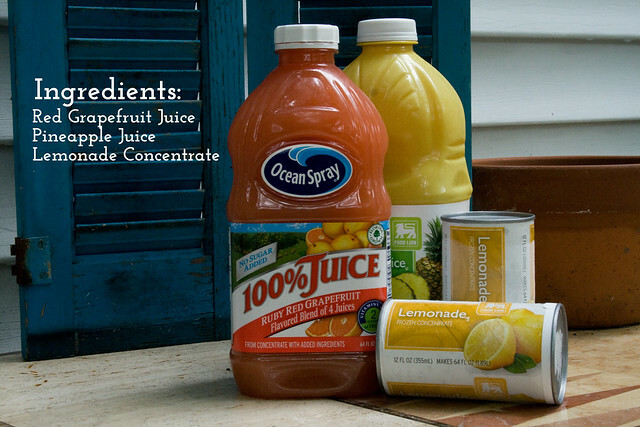 Just in time for the Fourth of July, mix up this super simple recipe & serve! I used a cocktail shaker to make the foam. I thought it looked really lovely in the glass. The Pineapple Juice foamed more than the Grapefruit Juice. It's not really necessary to have pretty foam, but is sure helps. I hope you try this oh-so-simple recipe. You can't get any better (or more affordable) than a two part recipe, right? And if you're like me you probably have champagne on hand. I was a bit worried that the Grapefruit recipe would need more sugar because of the bitterness, but it was actually perfect with out any additional sugar. It's not even necessary to rim the glass if you just want to drink it straight. It's not bitter at all! I can't wait to find other juices to blend with lemonade. I've also been thinking about flavored teas to make a spruced up Arnold Palmer. These would be perfect for a wedding, engagement party, bridal shower, birthday, baby shower, heck, they are perfect for a Tuesday afternoon! Adultingblog.com taught me to always have champagne on hand for emergency celebrations! These look so good! Perfect for summer!! 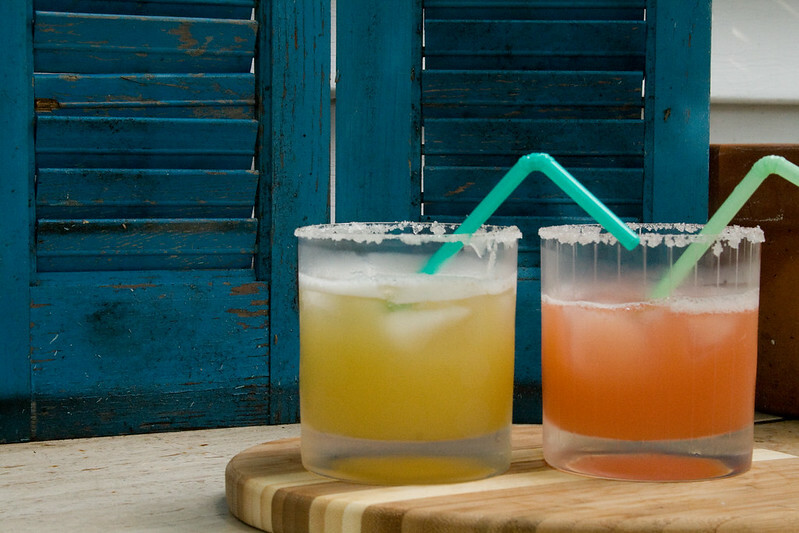 We will definitely be giving these a try this summer! These look delicious! Can't wait to try them! 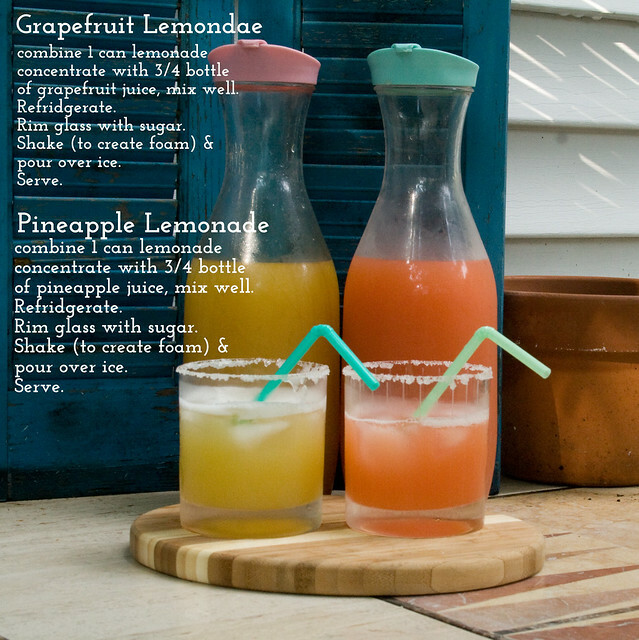 This looks very refreshing and delightful. I will be making it at my next event. Thanks for sharing.